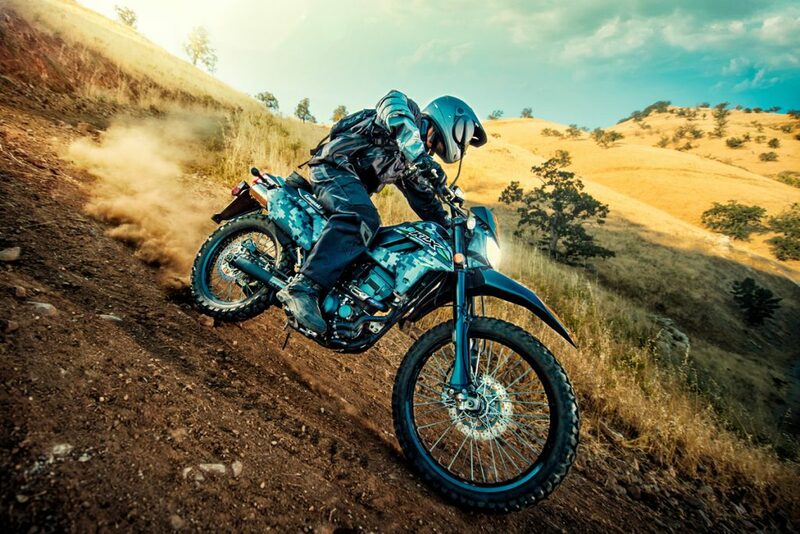 Dual sport motorcycles are an exciting yet practical choice for beginning your two-wheeled riding experience. They are especially appropriate if you grew up riding off road and still wish to have the flexibility to spend part of your riding time there (without having to shell out more money for a second set of wheels). Dual sports are also beginner-friendly because they’re lighter than most on-road only offerings, and their engine is focused around torque vs horsepower. Torque is a more linear or predictable brand of power, most useful while you learn how to put it to the ground smoothly and effectively. Below are some general guidelines to bear in mind while making your pick of the huge host of possibilities when it comes to dual sport bikes. By this I mean pick a bike you feel comfortable sitting on and can reach the ground flat footed or close to it. 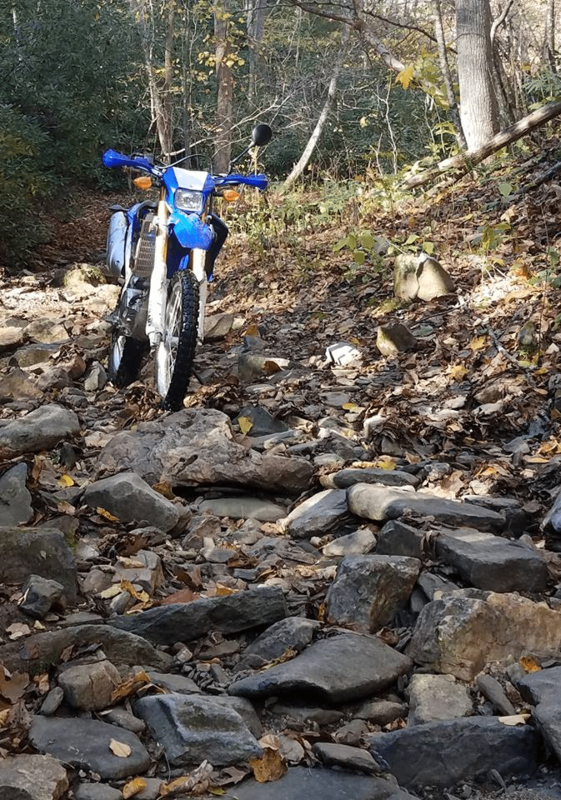 With dual sports this can be a little challenging if you’re a shorter individual, but not impossible thanks to aftermarket seats that are lower than stock, as well as available lowering kits to install. This small detail really helps a new rider feel confident in keeping the bike rubber side down and improves their learning. Often overlooked in favour of other criteria, I promise that putting comfort as priority one will be the best guideline to follow in making your choice. 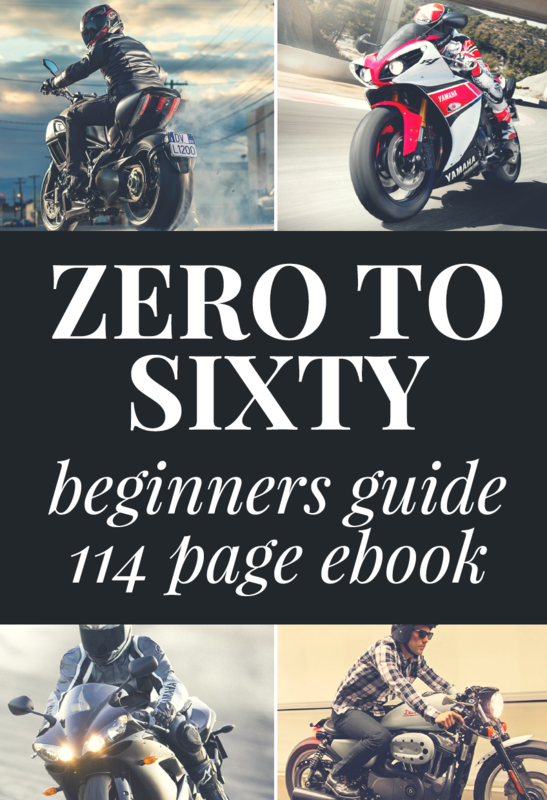 Keep your engine size in the 200 to 650 cc size ideally. Bikes in this range are strong enough to move you around easily if you’re average size. Don’t worry about outgrowing the bike. This likely won’t be the last one you buy, and a quality learning bike is easy to resell when you’re ready to move up. On the other hand, you may fall head or heels in love and keep it forever. Brand new has its charm in that you’re not inheriting someone else’s blemishes or problems, but on the other hand, why spend more than you have to? In the used dual sport world you’ll find that even $2500 nets you excellent quality. 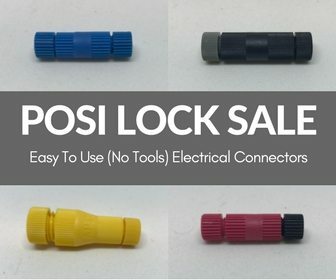 You actually could easily buy two if you spend right up to $5000. Many owners take good care of their bikes and wisely keep up with the maintenance. Those are the bikes you’re after. Ask to see receipts and service records from the seller while you’re looking at the used market. Chances are good that your first bike is going to fall over as you learn to handle it, especially while off roading. Even seemingly harmless, low speed tip-overs leave scars. It’s not nearly as painful to add another scratch to a previously loved paint job rather than putting in the first one yourself. Without further ado, here are my favourite used beginner dual sports for under $5000. If there’s a more approachable or beginner-friendly dual sport motorcycle out there than Yamaha’s TW200, I can’t think what it would be. Literally millions have learned to ride on these bikes for that specific reason. 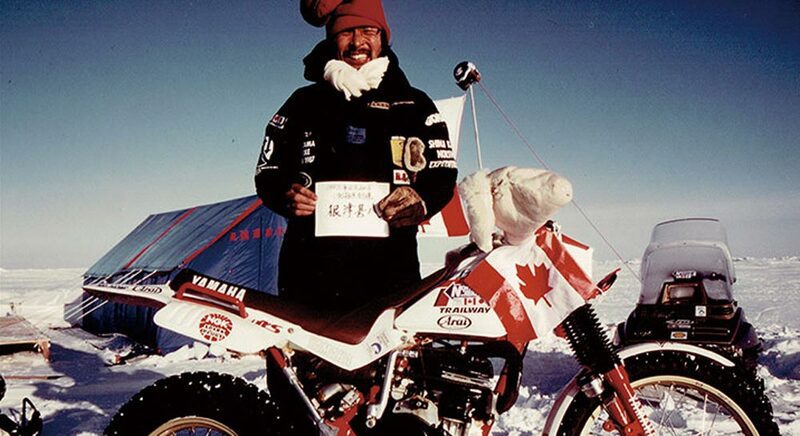 So good is this bike that in 1987 Shinji Kazama (a Japanese adventure rider) rode his modified TW200 to the North Pole! He has used the same bike since to ride to the South Pole, successfully climb Mount Kilimanjaro, Mount Fuji, and in two attempts to climb Mount Everest. He didn’t get to the top of Everest, but did make it past 6000 meters on his second and final attempt setting a World Record. If you’re a nervous new rider that wants a predictable, reliable ride with an easily controlled amount of horsepower and torque, look no further that the TW. It’s been around since 1987, virtually unchanged, other than some upgrades to the brakes and graphics, over the many years in production. It’s not fancy or fast with its air-cooled, single cylinder engine and 5 speed transmission, but it does very well off road due to its light weight, narrow frame, and endearingly chubby tires that grip and float across slippery terrain with ease. One look at the rubber in person and you’ll instantly find yourself compelled to poke a finger into or squeeze those big, bulging sneakers the same way old ladies treat chubby cheeks on their grandchildren. It’s alright, go ahead. The TW won’t mind. They are a great bargain on the used market, available for well below $2500 let alone the $5000 limit. Even a brand new 2018 will retail around $4600 USD. I would recommend avoiding the older ones with a drum front brake if you can as the disc is the much better option. See our more in-depth Yamaha TW200 review. 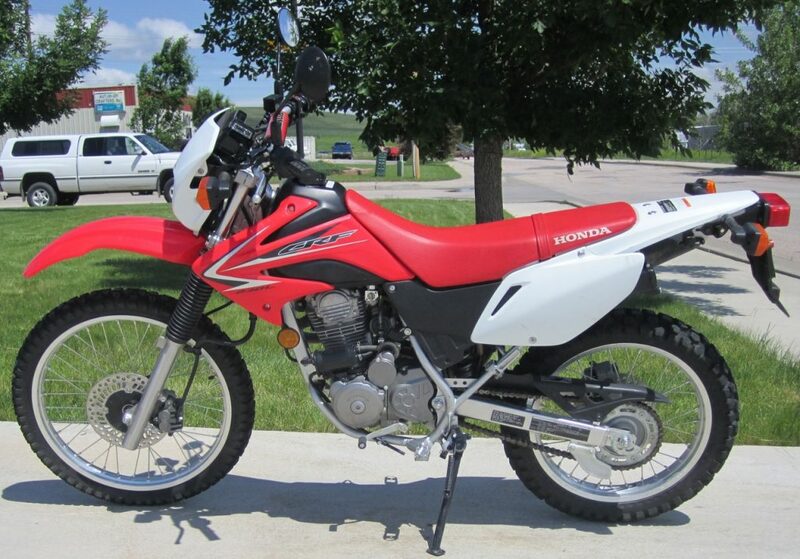 A small step up from the TW200 would be the Honda CRF230L. In the Honda CRF230L, you’ll get an equally lightweight, nimble, and unthreatening machine to learn on, but with a more updated design that benefits from slightly more power and performance. It uses another air-cooled single cylinder engine that’s been around for quite some time, known for its low maintenance and reliability. It comes with a 6 speed transmission, which is a must have on a dual sport bike in order to maintain highway speeds comfortably. The CRF is quite capable in the dirt as well, but the suspension isn’t good enough to handle big jumps or motocross style riding. That shouldn’t be an issue since that kind of riding isn’t typically what beginners try to do with their bikes. Fuel efficiency is beyond awesome, averaging about 80 mpg and there are some claims of around 100 mpg out there if you’re disciplined with your throttle control. All this adds up to a very impressive package for a new dual sport rider that can be had used well under $3000. 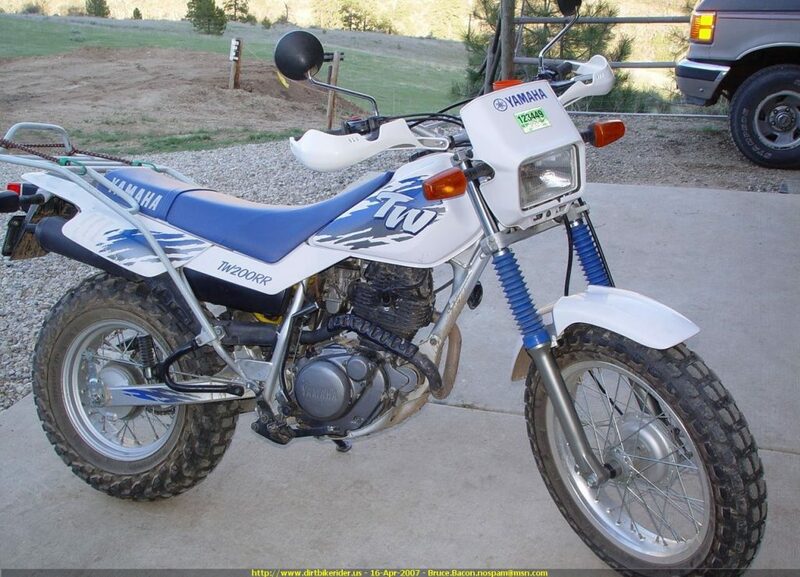 Another Yamaha makes the list, but this is a very different bike than the TW200. 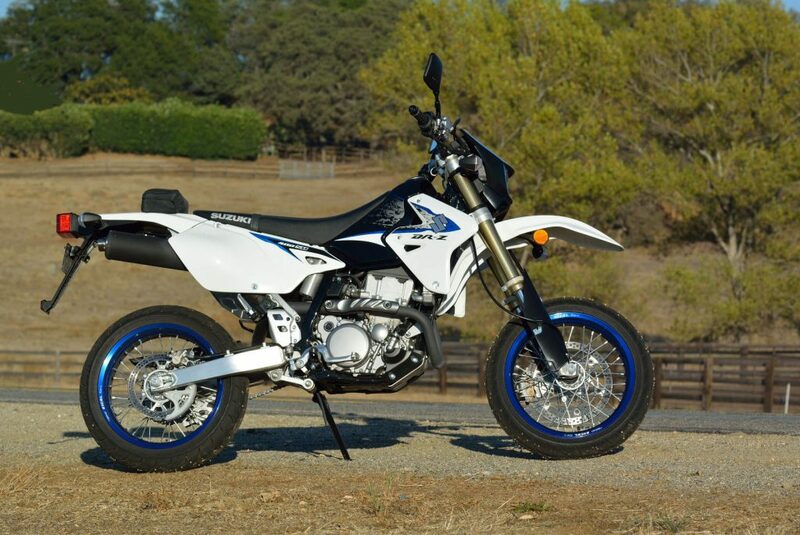 This modern design dual sport first appeared in 2012 and is a much higher performance machine. The WR impressively features a liquid cooled, dual overhead cam engine that is fuel injected. No chokes or carburetor issues to worry about here. Even better, it has fully adjustable suspension and inverted front forks. This tech, along with almost twice the horsepower and torque (than the TW and CRF), make the WR more suitable for beginner riders who are confident in their ability to grow to meet this machine’s potential. This Yamaha will really perform when asked to by its rider. That suspension has just over 10 inches of travel, and will work great off road as well as on road. Still not quite motocross quality, but much better than the previous two bikes I’ve mentioned. There are only a couple of possible downsides about the WR to consider: seat height and price. At 36 inches, the seat is high and a stretch for shorter riders (even though it sinks quite a bit when you sit on it). There are solutions in lowering links and lower seats to help you out if you’re as vertically challenged as I am. Due to the fact the WR hasn’t been around very long and has more expensive components, you can expect top pay a bit more: it will cost you close to $5000, but it’s definitely worth the money. Brand new the WR will cost you about $6700 US. 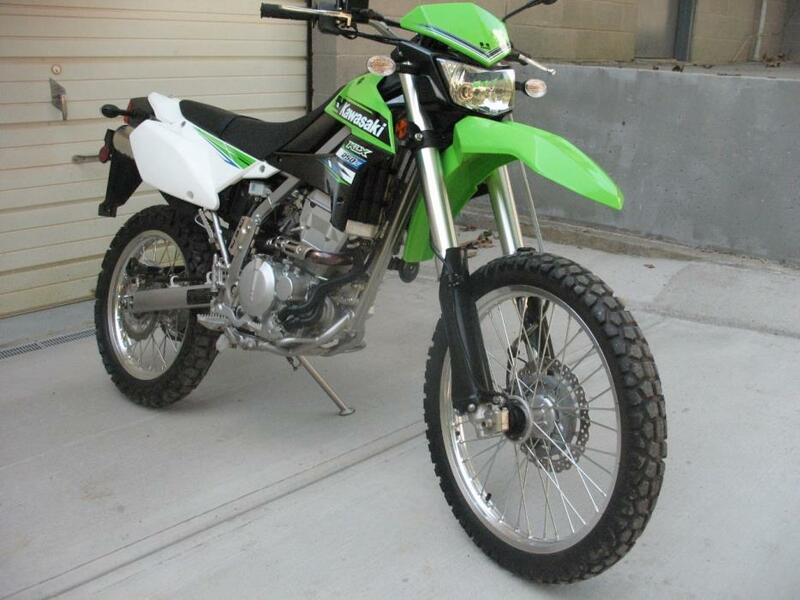 Next up is the mean, green machine: Kawasaki’s KLX 250S. The KLX belongs somewhere in between the Honda CRF230L and the Yamaha WR250R. It has very similar power to the Honda, but has much better suspension. The KLX is a favourite among owners for modifying to gain more power (relatively easily, too). So even though it doesn’t have near the Yamaha WR’s power, it’s certain to have more than the Honda’s with some minor work put into it. While the KLX250S doesn’t stack up to the WR, with its Keihin carburetted engine and limited adjustable suspension front and back, it still does feature 16 way adjustable inverted front forks and rear Uni-Trak technology… but the WR’s is better. Well, brand new the Kawasaki sold for $4700 while the Yamaha costs $6700. Is it really $2000 better? In reality the answer is “yes, the Yamaha is that much better performance wise”, but if you’re on a budget, the KLX can be had for thousands less used and will keep most any new rider satisfied. That’s the big appeal for the green machine: it’s the best bargain. The KLX went absent from Kawi’s lineup in 2014, after being around since 2006 as a great and very affordable dual sport to learn on. Obviously realizing that the KLX needed some tweaking to threaten the King of the heap (the WR250R) more effectively, Kawasaki updated the styling, added fuel injection and fully adjustable rear suspension. The engine changes bumped horsepower to 24, while torque holds at 13.5 ft lbs. Here’s the really good part: the 2018 KLX250 sells for $5349. Shots fired, Yamaha WR250R! 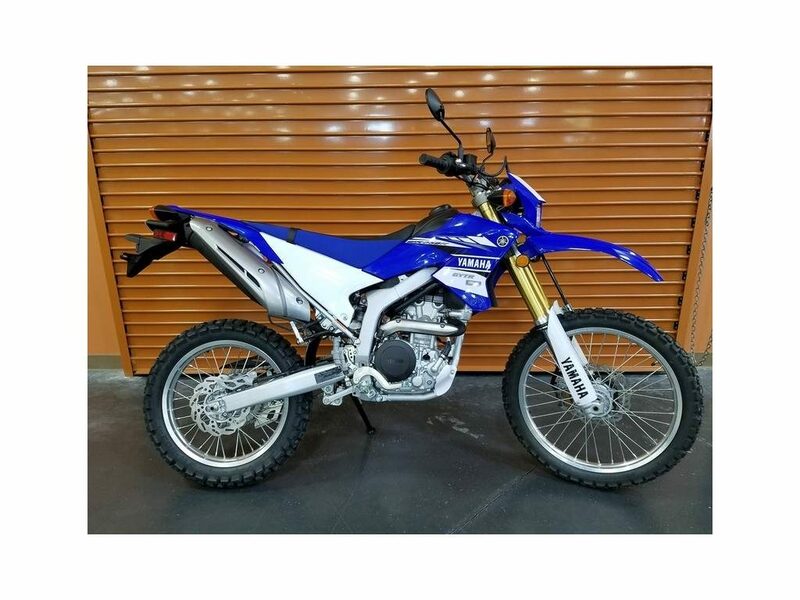 I realize I’m supposed to be focused on the best used bikes under $5000… but couldn’t we just go a few hundred over budget and get a brand new 2018 KLX250?! If you’ve never heard of the legendary Suzuki DRZ400 series of bikes take a few minutes to read up on them. Of the 5 bikes I’m recommending, this one is the best overall to start on if you can handle the weight and seat height. Available as the S or SM, the DRZ400 has been around forever and is easily the best dual sport motorcycle for the money in the world. The S model is equipped with a 21” front wheel with 18” rear and as such is geared towards better off road use than on road. Conversely, the SM or “Super Moto”, comes with 17” front and rear rims that are very nice quality for on road and milder off roading action. Going for the SM is the better move, because you can better afford to buy a second set of off road specific rims and tires to switch to if you’re going off asphalt for an extended time. The opposite isn’t true, as the SM rims are pretty pricey to buy to put on an S model DRZ. The SM also has better quality suspension than the S does. The SM comes with inverted front forks giving it less unsprung weight and so a more sporty feeling over any terrain. DRZ400SM bikes are carbureted and only have 5 speeds, but the 398cc engine makes it comfortable at highway speeds and tops out at 94 mph. Part of what makes the DRZ legendary with beginners is how easy it is for backyard mechanics to work on and modify it to make more power. Unmodified, it’s quite tame and beginner friendly (other than its fairly high weight of 322 lbs), but when modified, gradually it can be tailored to match the owner’s improving skill level. It easily can be a bike you keep forever in that way. It’s especially good for larger beginner riders who may find even the 250cc bikes too small framed to feel comfortable riding them. See my more comprehensive Suzuki DRZ 400SM review. The DRZ400SM is a super bargain on the used market: it holds its value quite well, in the $3000 to $4000 range. Compare that to a brand new 2018 model costing $7200. Even that isn’t a bad price when compared to most other new dual sports.